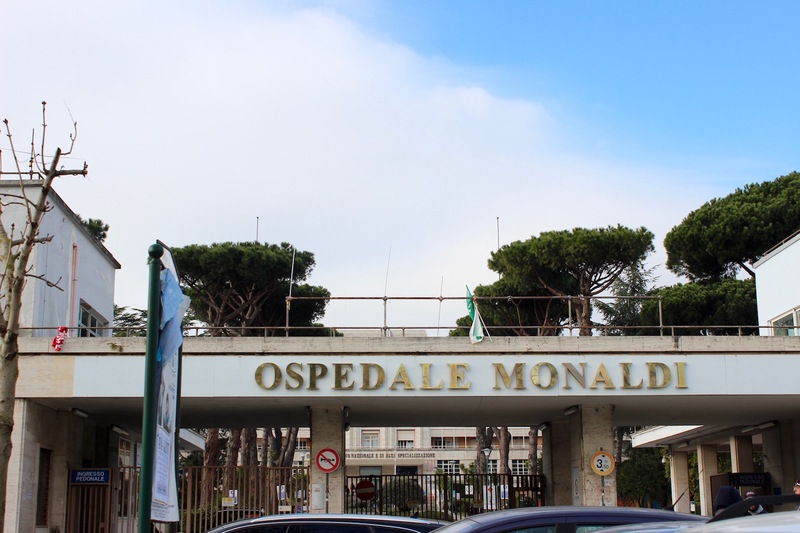 The building of Ospedale Monaldi started in 1931 and was completed in 1939. 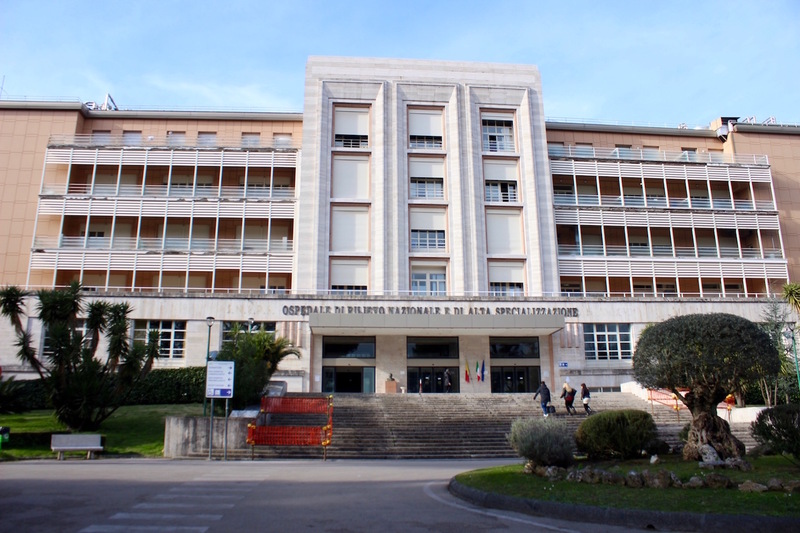 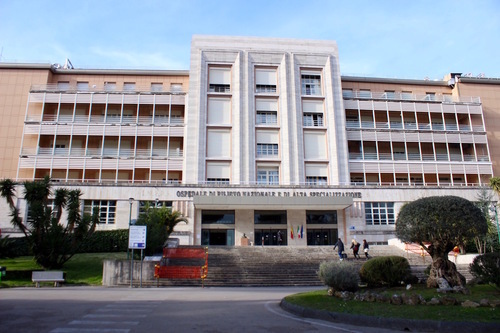 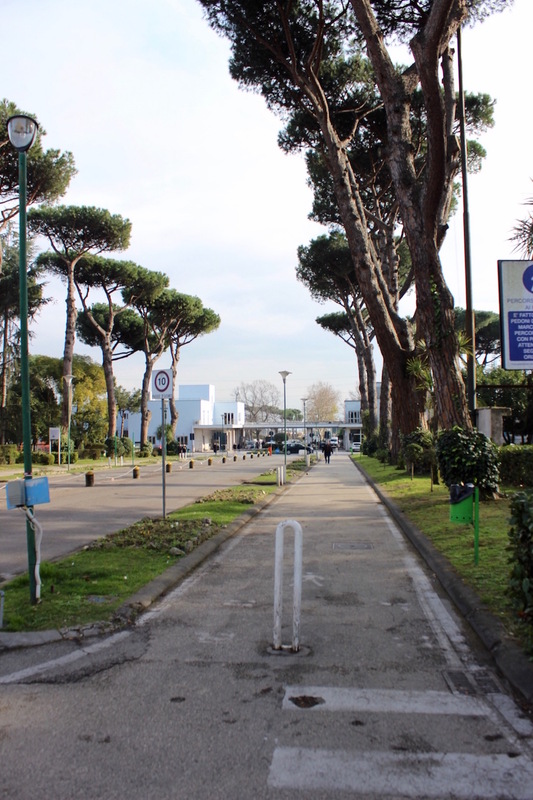 The Hospital, placed on the Camaldoli hill in Naples and surrounded by a vast park, was born as a sanatorium for patients affected by tuberculosis and was firstly named "Principe di Piemonte". 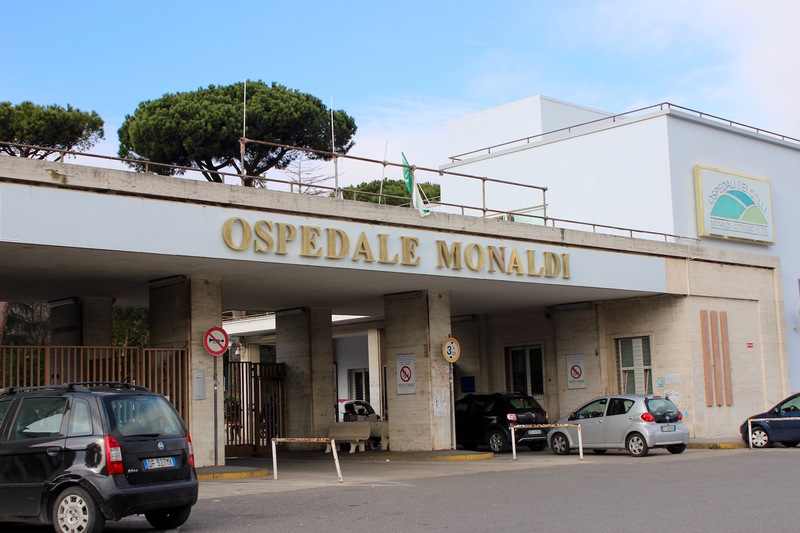 In the '970s the hospital was renamed after Vincenzo Monaldi who had been the director after the Second World War. 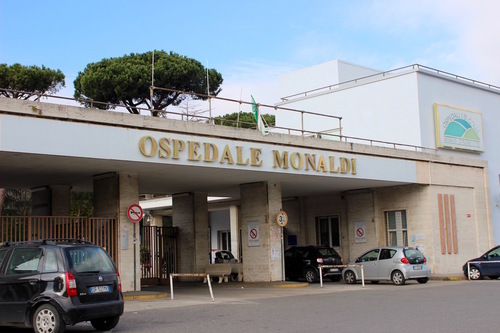 Nowadays the hospital is still appreciated for its specialization, among the others, in cardiorespiratory diseases. 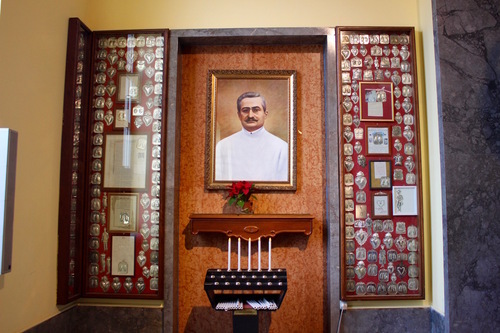 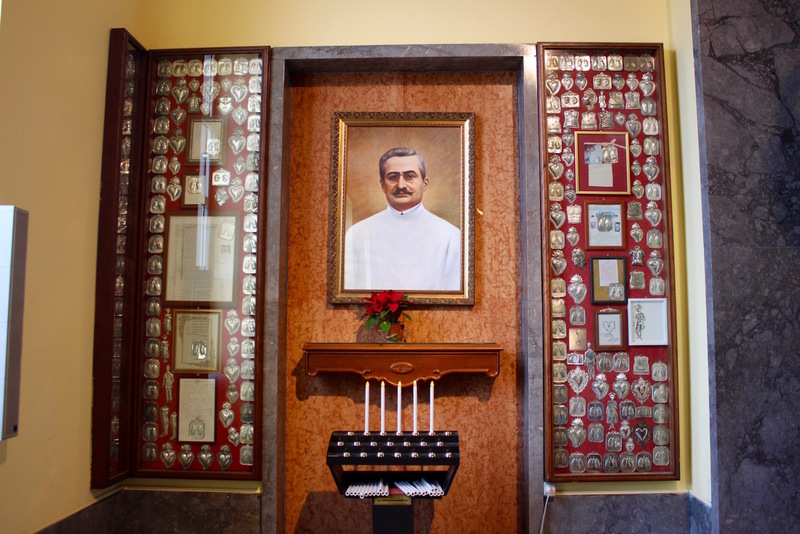 In the left aisle of Ospedale Monaldi Church there is a small altar dedicated to the Saint physician Giuseppe Moscati. 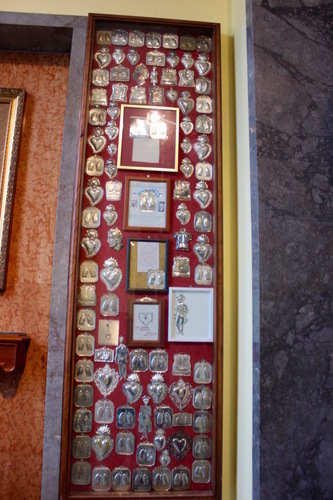 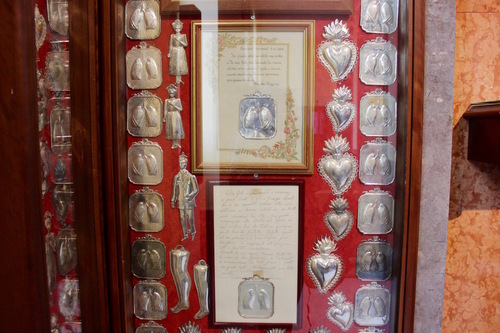 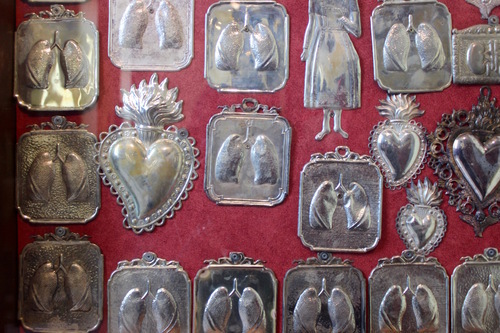 Several silver "ex voto" hanging at both sides of the big portrait of Giuseppe Moscati represent lungs and remind us of the hospital specialization.